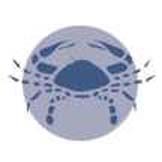 Cancer, the Crab, is the first sign of the Water triplicity and the fourth sign of the tropical zodiac. The key phrase for Cancer is "I feel". It is a highly creative sign of deep feeling, with a powerful even psychic sensitivity held in check beneath a tough, shell-like exterior. Cancerian people are very complex, at certain times appearing to have the strength of a hero and at other times displaying the weakness of a child. This vulnerability is due to a combined solar-lunar influence. Just as the Sun reverses its direction in this sign, stopping in the northern sky and beginning its trek southward, the crab often walks sideways upon the approach of danger. Cancerians use an indirect approach in dealing with others. Rather than direct confrontations, they are more apt to resort to emotional appeals. This is because they react emotionally to everything they experience in life. Many succeed in life because their genuine concern for the welfare of others inspires loyalty as well as cooperation and trust. Cancerians also make good business people, combining artistry, originality and drive with an understanding of financial matters, marketing and the needs of the public. They can trust their intuitions, but need to generate a faith in themselves which will not be dampened by gloom or depression over what, in retrospect, may appear to be relatively insignificant problems. Cancer has the natural ability to be diplomatic and to speak out when necessary, or to keep that mouth shut. Home and family ties will be significant in life and developing a secure, comfortable home environment will be a boon to their state of mind, irrespective of marital state. The crab is Cancer's astrological symbol, so, when threatened, people with Cancer prominent in their chart tend to armour themselves by withdrawing into solitude. When upset, they use food as consolation, which in turn, results in obesity, food allergies and intestinal dysbiosis. The Sun in Cancer reflects a weakened physical constitution. 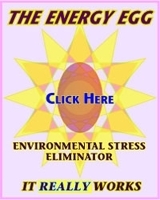 Externally, it rules the breasts, epigastric region and the elbows. Internally, it rules the stomach, digestive organs, upper lobe of the liver, thoracic duct, pancreas, blood serum and womb. 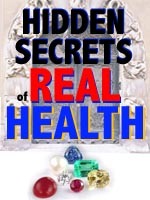 The entire act of digestion with peristalsis and chymification is ruled by Cancer. Indigestion, stomach ulcer, flatulence, jaundice and liver torpidity and mammary affections are common. Be on guard against lymphatic stasis. Structurally, Cancer rules the axillæ, bladder, blood serum and albumen. People with Cancer active in their charts are subject to coughs, indigestion, gas, gallstones, general problems with stomach, liver and intestines, plus emotional disorders such as depression, hypochondria and hysteria. Cancer rules the colours white, silver, pale yellow, green and russet. Cancerian people also respond well to the healing ray of violet. The birthstone for Cancer is the ruby, a stone of ripe richness. Cancerians also respond to the energies of the pearl and the moonstone. Remember only to wear these stones if you want to bring their influence into your life. More about Gemstones and Astrology. water lily (lotus), white rose, iris, white poppy, carnation, jasmine, southern magnolia and chamomile. Self-centred, compulsive talking, cannot be alone. Weak-willed, too easily influenced by others, timid. Used against amoebic dysentery; also as an expectorant, emetic and diaphoretic. Chamomile, cardamom, jasmine, lemon, lily, myrrh, palmarosa, plumeria, rose, sandalwood, yarrow. Avoid foods which ferment in the stomach, like refined breads and dead flesh. Be on guard against candida yeast producing foods like refined sugar, pastry and meats with antibiotics. Fish is a much better food for you. Drink plenty of water upon rising and at bedtime. Violet coloured foods like grapes and buckwheat will benefit. Fresh cabbage juice benefits the stomach, offsetting ulcers and irritations, fresh sauerkraut benefits the intestines and offsets dysfermentation. The cabbage group overall benefits those with Sun in Cancer (cabbage, kale, broccoli, mustard greens, watercress and cauliflower). There is also a possibility of potassium deficiency, particularly if one craves salt. This can be offset by drinking fresh fruit and vegetable juices.